As promised, a reading recommendation from the works of France’s newest Nobel laureate. 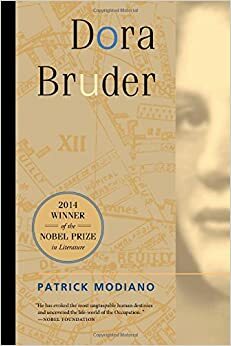 Unusually for Patrick Modiano, Dora Bruder(1997) is actually non-fiction, but it reads so much like his novels that many of its early readers thought it was one. ON RECHERCHE une jeune fille, Dora Bruder, 15 ans, 1 m. 55, visage ovale, yeux gris marron, manteau sport gris, pull-over bordeaux, jupe et chapeau bleu marine, chaussures sport marron. Adresser toutes indications à M. et Mme Bruder, 41 boulevard Ornano, Paris. PARIS. A young girl, Dora Bruder, is missing, 15 years old, 1 m. 55, oval face, grey-brown eyes, grey sports coat, dark red jumper, navy blue skirt and hat, brown sports shoes. Any information to M. and Mme Bruder, 41 Boulevard Ornano, Paris. Je n’ai cessé d’y penser durant des mois et des mois. (…) Il me semblait que je ne parviendrais jamais à retrouver la moindre trace de Dora Bruder. Alors le manque que j’éprouvais m’a poussé à l’écriture d’un roman, Voyage de noces. I couldn’t stop thinking about it for months and months. (…) I felt that I would never manage to find the slightest trace of Dora Bruder. So the lack that I was feeling pushed me into writing a novel, Honeymoon. In returning to Dora’s story in non-fiction, Modiano isn’t simply writing her biography. Indeed, the story of the troubled Jewish girl who runs away from home, returns, and some months later is arrested, interned in Paris, and finally sent to her death in a concentration camp, has left so little mark on history that Modiano struggles to find the barest details of who she was and what she experienced. Rather, he gives us the story of his investigation, exploring archives for mentions of her name, revisiting the places she lived to absorb their atmosphere. In the course of his research, he discovers police reports on the arrests of French Jews, desperate pleas in letters from the relatives of those taken, and letters home from the internment camps on the eve of deportation. Many of these find their way into Modiano’s book verbatim, so that at some points Modiano’s own account fades behind a collage of documents from the Occupation. And intertwined with these strands of Dora’s story, the story of Modiano’s research, and the fragments of other stories of those caught up in the Holocaust, comes one further narrative strand, which is Modiano’s own story, and the roots of his obsession in his own troubled family background. Modiano’s father, we learn, was a Jewish man who survived the Holocaust through his close association with a band of collaborationist thugs, the Rue Lauriston Gang, who at one point intercede after he has been arrested to save him from deportation to the death camps. This difficult legacy of a father who was both Jew and collaborator, victim and accomplice in the Holocaust, lies at the root of all Modiano’s writing, but rarely as clearly shown as here. Je me suis dit que plus personne ne se souvenait de rien. Derrière le mur s’étendait un no man’s land, une zone de vide et d’oubli. Les vieux bâtiments des Tourelles n’avaient pas été détruits comme le pensionnat de la rue de Picpus, mais cela revenait au même. Et pourtant, sous cette couche épaisse d’amnésie, on sentait bien quelque chose, de temps en temps, un écho lointain, étouffé, mais on aurait été incapable de dire quoi, précisément. C’était comme de se trouver au bord d’un champ magnétique, sans pendule pour en capter les ondes. Dans le doute et la mauvaise conscience, on avait affiché l’écriteau « Zone militaire. Défense de filmer ou de photographier ». I said to myself that nobody remembers anything any more. Behind the wall stretched out a no-man’s-land, a zone of emptiness and oblivion. The old buildings of Tourelles hadn’t been destroyed like [Dora’s] boarding school in the Rue de Picpus, but it came down to the same thing. Dora Bruder is available in French, as a paperback or e-book, or inEnglish translation. Is it time for a classic? After a couple of recommendations of recent novels, I think it’s time we had a go at one of the great masters of French literature, Gustave Flaubert. The French novel, like the English one, had a real golden age in the nineteenth century, when writers like Honoré de Balzac, Stendhal, Émile Zola, and Flaubert wrote novels of sweeping social panoramas and vivid details of everyday life which have come to be known as French Realism. There are many masterpieces among them, including Balzac’s Le Père Goriot, Stendhal’s Le Rouge et le Noir and Zola’s Germinal, but at many hundreds of pages, they can be a daunting prospect, particularly if, as a learner of French, you’re tempted to tackle these authors in the original language. We’ll come back to them some other time, but for now, I’d like to recommend a more modest way in to discover Realist literature: Flaubert’s short story, Un cœur simple (A Simple Heart). Flaubert said he wanted to write ‘un livre sur rien’ (‘a book about nothing’), and in Un cœur simple he’s not far off. Félicité is a poor and uneducated woman in rural France, who, after disappointment in love, takes up service in a middle-class household. She is loyal to her widowed mistress and devoted to the children of the house. Her life has small pleasures and larger sorrows; she is generous with her kindness, which is not often repaid. 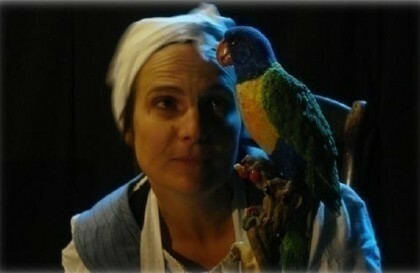 In later life, her dearest love is a parrot. Later still, her dearest love is a deceased parrot, stuffed and mounted on a perch. Then, a gang of international art thieves mount an operation to steal the parrot, which they mistakenly believe to be an ancient Maltese statuette of inestimable value. 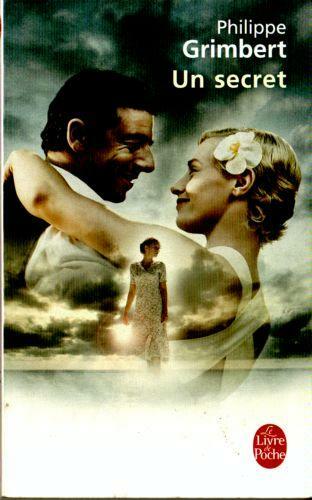 The story is funny, sweet and sad, and has the most beautiful ending. If you’d like a little introduction to the world of the Realist novel, and are prepared to consider that there might be more ways to write a great story than dramatic incident, extraordinary people or complex plotting, then you should give it a try. You can get it as a single volume, as one of Flaubert’s Trois contescollected together, or, of course, in English translation. If you like it, there are two places to go from here. One is Julian Barnes’s brilliantFlaubert’s Parrot, the tale of a Flaubert obsessive’s attempt to track down the actual stuffed parrot Flaubert used for inspiration while writing Un cœur simple. The other, of course, is Flaubert’s Madame Bovary, most famous of all nineteenth-century French novels, where the same setting of humdrum small-town life in northern France is the backdrop to a rather more eventful life story, as the young heroine’s dreams of romance, passion and high-society glamour cannot be reconciled with her apparent fate as the wife of a country doctor whose only aspiration is a pair of slippers by the fireside. If you’re looking to read a novel in French that’s fairly short and accessible, but a serious piece of literature that will stay with you long after you finish it, then Philippe Grimbert’s Un secret would be a good choice. It won the Prix Goncourt des lycéens when it was published (France’s only literary prize to be awarded by a panel of sixth-formers), and has since been made into a film by Claude Miller. Fils unique, j’ai longtemps eu un frère. Il fallait me croire sur parole quand je servais cette fable à mes relations de vacances, à mes amis de passage. J’avais un frère. Plus beau, plus fort. Un frère aîné glorieux, invisible. But not only does Philippe have an imaginary brother, he also knows the brother’s name, Simon, and owns the cuddly toy dog that once belonged to him. Simon, it begins to appear, is not so imaginary after all, but pieced together from half-remembered whispers and silences about Philippe’s parents’ lives before he was born. 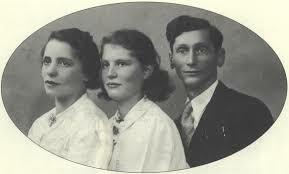 And the mystery seems somehow connected to the fact that their real name isn’t Grimbert at all, but the Jewish surname, Grinberg. What Philippe finally discovers is a history of love and betrayal among his parents and their circle of friends during the German Occupation of France in World War II, culminating in a dramatic event, the ‘secret’ itself, which, once you learn it, you won’t forget for a long time. Adventures on the Bookshelf is on its summer holidays this month. We’ll be back with new posts from the first Wednesday in September. In the meantime, if you’re looking for some summer reading, you’ll find some of our favourite French novels here as we re-post our top choices for recommended reading through the month of August. One of the aims of this blog is to point interested readers in the direction of French books which are worth your time, and which are accessible to language learners who are prepared to make a bit of an effort to get to grips with a real French novel. In schools, when novels are recommended or (increasingly rarely these days) set as part of a course, Albert Camus’s L’Étranger is the go-to option, followed some distance behind by Joseph Joffo’s Un sac de billes and Françoise Sagan’s Bonjour tristesse. Good novels all, with Camus’s book in particular in a league of its own for its combination of accessible language and thought-provoking content. I’ll be getting round to pointing out a couple of interesting things about it in a later post. But I’d like to take you a little off the beaten track, and introduce you to novels and writers you’ll hopefully enjoy, but which you might not otherwise have come across. First up, cult Belgian author, the award-winning Amélie Nothomb, who attacks the French bestseller lists every September with a new short novel. All her books are spiky, funny, attention-grabbing reads, often built around a high-concept premise: Métaphysique des tubespurports to be her autobiography from the womb to age three;Attentat is a love story between the ugliest man and the most beautiful woman imaginable; the prize-winning Stupeur et tremblements (now a film by Alain Corneau) recounts the descent of the hapless ‘Amélie’ down the hierarchy of a Japanese corporation from office-worker to lavatory attendant as she repeatedly fails to grasp the niceties of Japanese etiquette. Any of these is worth reading, but what makes her particularly popular with young people is her writing about the dramas of adolescence in novels likeAntéchrista, which lay out in often blackly comic fashion the teenage hell of social anxiety and loneliness, or problems with body-image and eating disorders. 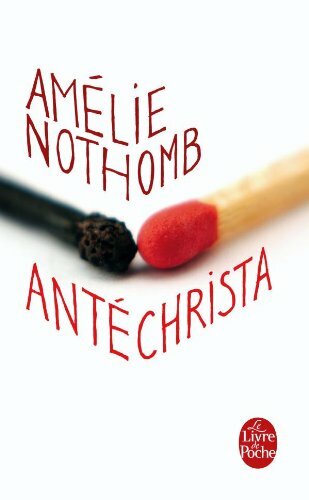 Despite the title, Antéchrista has nothing to do with religion, beyond the fact that it’s about a girl called Christa who makes life hell. The novel’s heroine, Blanche, is a shy sixteen-year-old, unhappy in her skin, who is flattered and astonished to find herself suddenly friends with the prettiest, boldest, most popular girl in college, Christa. Christa, though, lives far away, and could do with a place to crash on Monday nights before the girls’ 8 a.m. class on Tuesday mornings. Blanche’s parents agree to let her stay over in the family’s flat, on a camp bed in Blanche’s room. She’s a delightful house guest and a hit with the parents. Only with Blanche herself, when the two are alone in their room, does Christa begin to show a darker side to her personality. Then she moves into the family home full time. Charming and helpful, graceful and sophisticated, she’s the kind of the daughter Blanche’s parents must have dreamed of having. Already she’s starting to seem as much a part of the family as Blanche herself, maybe even more so. By the time Blanche learns the true nature of this cuckoo in the nest, it may already be too late to fight back. At only 150 pages long, it’s a fast-moving story, with a twisting plot that will keep you turning the pages, but it’s also a memorable description of what it’s like to feel an outsider in life, and ultimately even in your own family. You can find it here, and find out more about Amélie Nothomb and her other novels here.